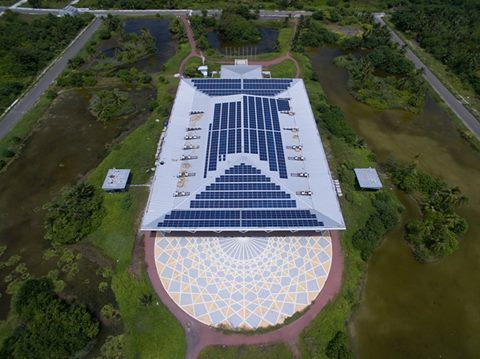 ADB and the Government of Maldives are working together to transform the existing energy grids on the archipelago into a hybrid renewable energy system. The Preparing Outer Islands for Sustainable Energy Development Project is installing energy management and control systems; energy storage; and improvements in distribution networks, in order to significantly reduce the need for diesel to generate electricity. The work includes installing equipment for solar diesel hybrid grids on about 160 islands. The project will replace inefficient diesel-based power generation grids on the islands with hybrid systems of both renewable energy and diesel in order to reduce the cost of electricity and the emissions created, as well as lower the subsidy burden on the government budget. 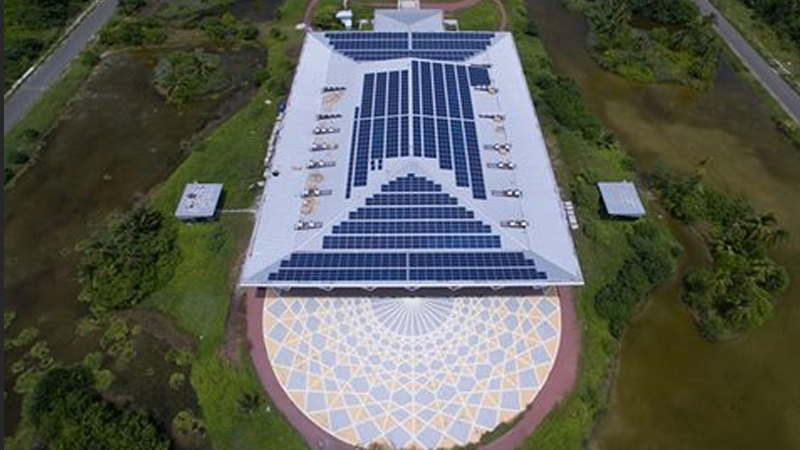 As part of the #POISED project implemented by the Ministry of Environment and Energy, 90% of solar PV installations completed at #AdduCity. 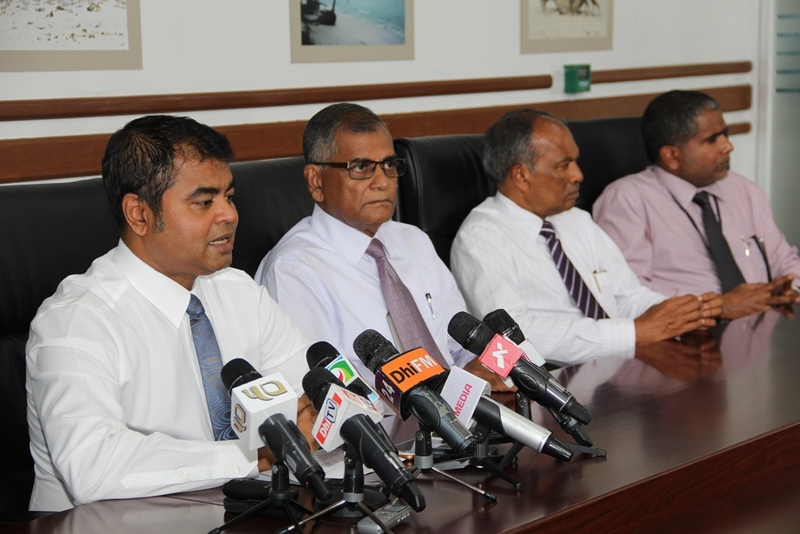 Under the phase 2 of the project a bid was floated to procure 8MW generator set for capital Male’. This component of the project is targeted to reduce diesel consumption in Male’ by increasing the efficiency of power generation. In addition, this will allow incorporating large amounts electricity generated from intermittent renewable energy sources into the grid. 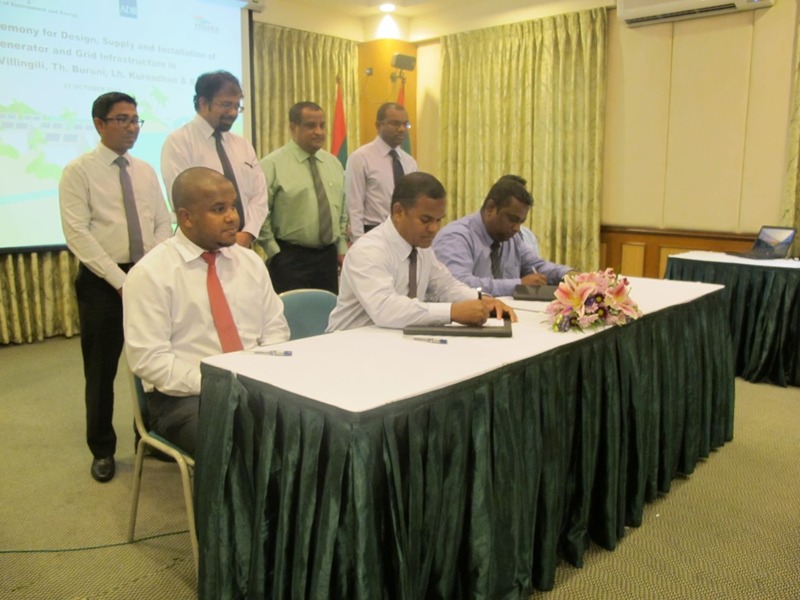 Contract for Design, Supply, Installation and Maintenance of Generator and Grid Infrastructure in Five Pilot Islands of Maldives signed. The contract was signed between Ministry of Environment and Energy and LTL Projects (PVT) Limited of Sir Lanka. The islands that will be upgraded in the Phase 1 are Th. Buruni, B. Goindhoo, GA. Villingili, Lh. Kurendhoo and Addu City where the electricity service is provided by FENAKA Corporation.